A leader in sustainability, innovation and quality, Villa Maria is a family-owned winery recognised as an icon in the New Zealand wine industry. 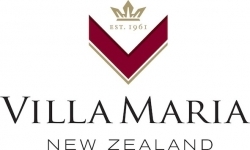 Listed as ‘Third Most Admired Wine Brand in the World’ from Drinks International 2019, Villa Maria now exports to over 60 countries. The Villa Maria Family of Wineries, which includes Villa Maria, Vidal Estate, Esk Valley, Thornbury, Te Awa, Left Field and Kidnapper Cliffs are based in a new winery located near the Gimblett Gravels. The winery is a state-of-the-art facility that focuses on production of premium wines harvested in Hawkes Bay and Gisborne. We have a number of vacancies (permanent and fixed-term) to work with our award-winning team as a Cellar Hand. Reporting to the Cellar Manager, these positions require individuals who can demonstrate expertise in all aspects of winemaking. The successful applicants will acquire the unique opportunity to work with our highly talented Winemakers across Villa Maria, Vidal Estate, Esk Valley and Te Awa brands, all under one roof. Good mechanical aptitude and experience in rackings, blending, loading/receiving tankers, filtrations and cleaning, with a big focus on our significant barrel program. Proficiency is expected on key processes and requires the ability to prioritise tasks while confidentially undertaking several duties simultaneously. A robust Health & Safety focus will underlay a strong quality ethic. Intelligent, self-motivated people with a hands-on approach. Experience in the wine industry and an interest in wine would be a significant advantage. The role is highly-physical and would suit fit and healthy applicants with an interest in the industry. In return, we offer a competitive remuneration package and the chance to build a career with a prestigious and dynamic company. To apply, please attach your curriculum vitae, cover letter and complete the application form. Applicants will close 5th May 2019. For information about the Hawkes Bay wine region, click here.